Welcome to New Hope Arts! 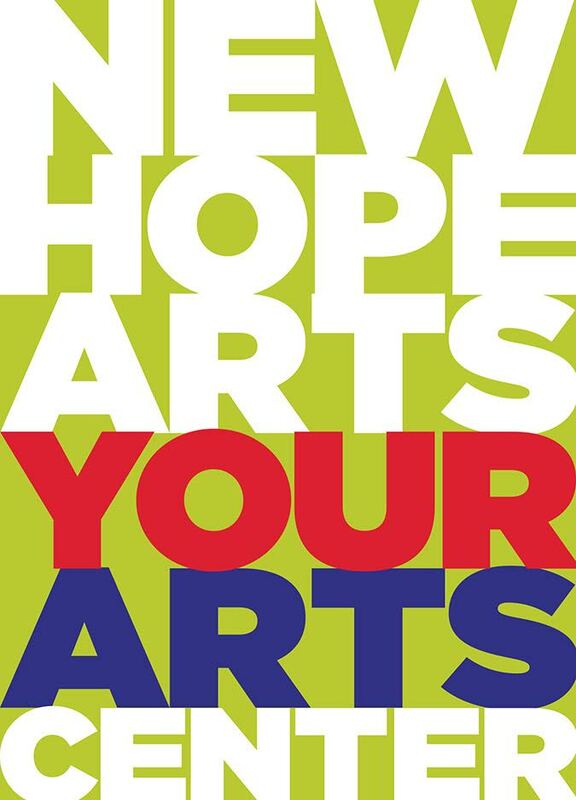 New Hope Arts is dedicated to serving the arts and artists of our region since 2002. We offer a full calendar year of programs, providing exhibition opportunities in wide-range of contemporary media . As a non -profit organization, membership contributions and fundraising events help, but they provide only a portion of the funding required to sustain our work. Consider a unique partnership opportunity to sponsor an exhibition while promoting your business as well. Exposure 2019: America on the Move - 5th Juried Photo Exhibition, June 22 to July 14. Call for Photographers. Applications now available. New Hope Arts is dedicated to furthering the heritage of New Hope as a center for art & artists. Your participation truly makes a difference. The Outdoor Sculpture Project is on the move! The Project is an on-going, free and accessible exhibition you can experience when you visit New Hope. Begun in 2003 by our founding director, Robin Larsen, the Project was enhanced by a generous grant from the PNC Foundation 2015-2016. Today is it sponsored by generous private patrons. Explore our Membership options and see how a New Hope Arts Membership can benefit you. Our 2018 Membership drive is now beginning. New Hope Arts hosts an invitational exhibition featuring two artists with unique expression using wood as a medium. 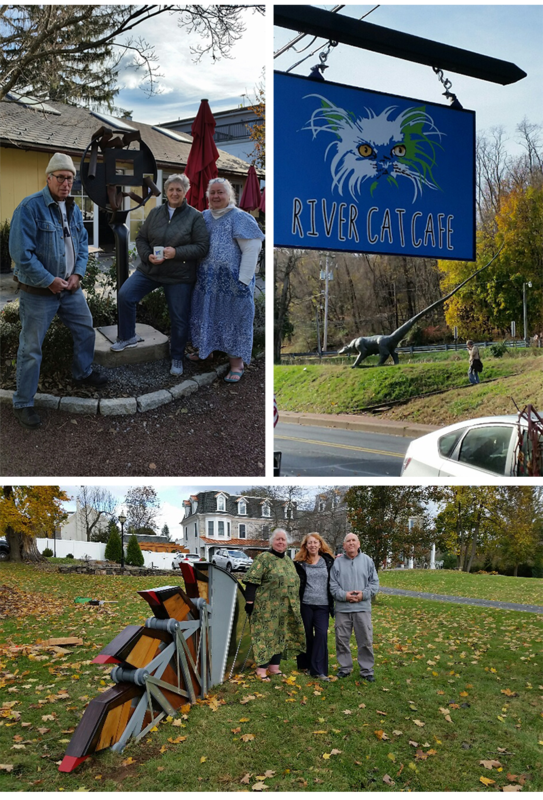 Two Artists, Two Visions - the works of Andy DiPietro and Norine Kevolic, honors both award winning sculptors who have shown regionally and nationally. The fluidity and intricacy of their works gives new insight into the versatility of wood and its creative processes. The latest addition to the Outdoor Sculpture Project started off the new year. 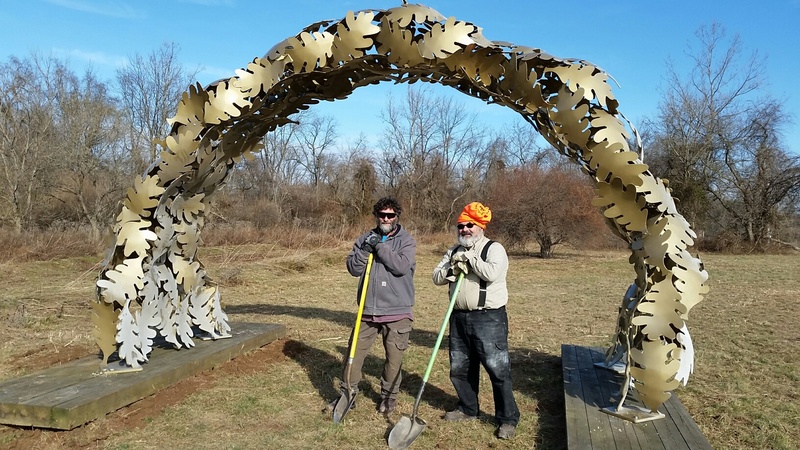 On January 12, the long-awaited placement of Golden Oak Leaf Arch, by Jim Gallucci of Greensboro, NH was accommplished under cold, sunny skies. Hosted by Rabbit Run Creek and located near the intersection of Route 202 and North Lower York Road, the 13 foot high powder coasted steel construction is adjacent to the Solebury-New Hope Walking Path. 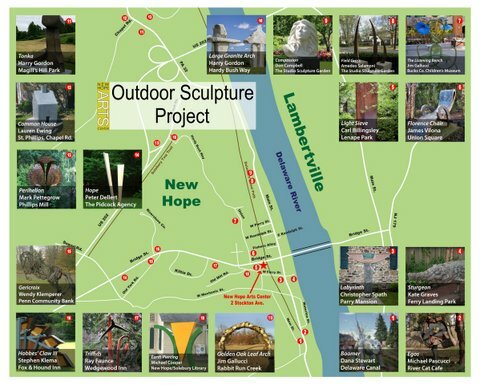 The Outdoor Sculpture Project is an on-going, free and accessible exhibition you can experience when you visit New Hope. More new Installations are on the horizon. Egos by Michael Pascucci (top left) is installed at River Cat Cafe in South Main Street, across from Boomer (top right) - one our our first installations in 2003. Stephen Klema's Hobbes' Claw III (bottom) is installed at Fox & Hound Inn in New Hope, generously sponsored by Pamm Kerr. All members benefit in our mission to enrich our community through a broad array of programming that furthers the heritage of New Hope as a vital regional arts center. Join Us!